Welcome to the summer (albeit late summer) 2015 Newsletter! It has been a hot summer here in the US and elsewhere ... testimony to the warming climates. Hopefully things will even out soon as the world addresses the effects of mankind on the climate. September is to be a time of dramatic and surging energies and so far, that has been the case. The energies are to peak on September 27th, a supermoon and a lunar eclipse! This is the first such occurrence since 1982 and there won't be another until 2033! The supermoon lunar eclipse will be visible throughout North and South America the night of September 27 (per NASA) while those in Europe and Africa can see it in the early morning hours of September 28. Then, the Autumnal Equinox will occur on September 23rd when the energies in the Northern Hemisphere will begin to shift from Yang to Yin. So for this reason, this quarter's newsletter will talk about dissolution quartz, the special quartz of transition and change. In view of the Labor Day holiday and shifting the Newbie listing a week, there will be an altar crystals sale beginning with the Newbie listing on September 13th until the Newbie listing on September 26th. The sale will end at midnight on the 26th and all altar crystals will be 25% off. The sale prices aren't marked on the site, but will be shown on the invoice (taken at the "register"). Please email me if you have any questions. The Earth is billions of years old and in the beginning, the Earth was a molten mass that began to coalesce into the planet we know today. The "mineral soups" or "mother liquors" were the start of the crystallizations that we know as quartz, calcite, pyrite and many other minerals. All were effected by their environment and that is why no two crystals are alike ... like humans and snowflakes, each is unique! One of the things that further effected the crystals was the same mineral soup from which they formed. In some cases, the crystals were tall and clear, but in others, they took on a different look in the form of dissolution quartz. Dissolution quartz is one where the Earth's natural mineral acids or bases literally ate away at the surfaces of the quartz, leaving it etched, pock-marked, rounded and forever altered. 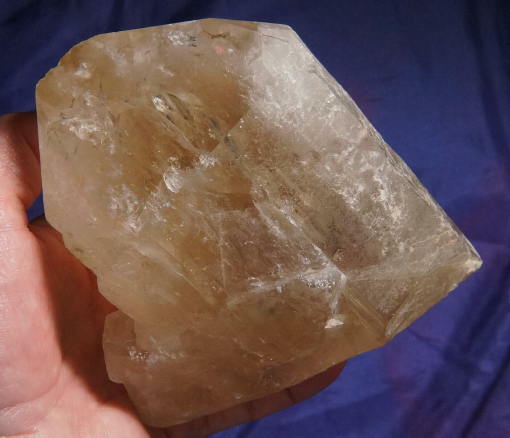 In some cases, it resulted in growth interference as crystals like calcite, epidote and others were dissolved away leaving key-markings where they once resided on the crystal. This is different than a key in that keys are natural separation of two crystals as a result of a shock, vibration or crystal growth. 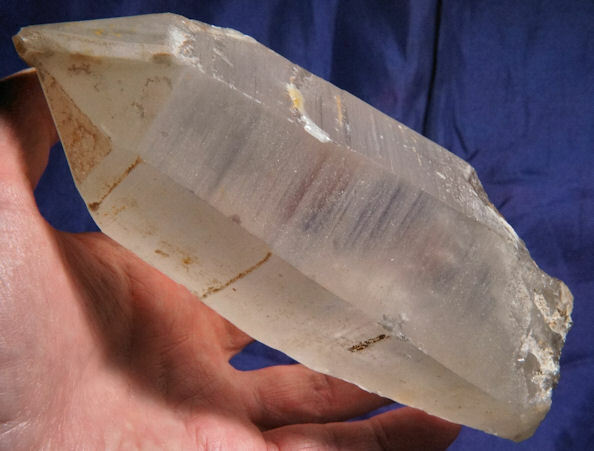 In any case, the quartz manages to heal itself dramatically, accepting the alteration and becoming a Master Healer on many levels. These Spirits sing of the wonder they have seen and the splendor of their transformation. Imagine seeing the birth of the moon ... and the dawn of life on this planet! And they witnessed the coming of minute organisms ... and the dinosaurs and the Star Peoples ... and the human race! Imagine seeing the effects of change after change after change and welcoming each new dawn with wonder and awe! Sometimes I wish I had a time machine to visit these eras and see a real dinosaur, gaze in awe at the size of a woolly mammoth, see the pyramids being build ... or even scoop up a handful of the mineral-rich seawater that gave rise to the oceans of life. Wouldn't it be wondrous to witness these changes and know that all happened for the best ... to create this world as we know it? 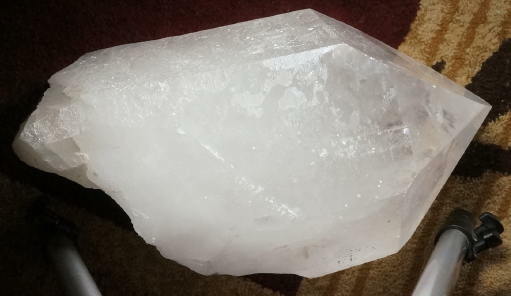 In handling quartz for decades, I have been privileged to know several kinds of dissolution quartz ... the Kullu Rosie is one, as is the Sardo smoky, the destiny quartz ... and many of the trigonic Brazilian quartz, both clear and milky. And each seems to be destined to work on a different Chakra, sometimes with the assistance of other crystalline Spirits. Each seems to be destined for a special Keeper and each works a bit differently, meshing well with the energies and the needs of its Keeper. 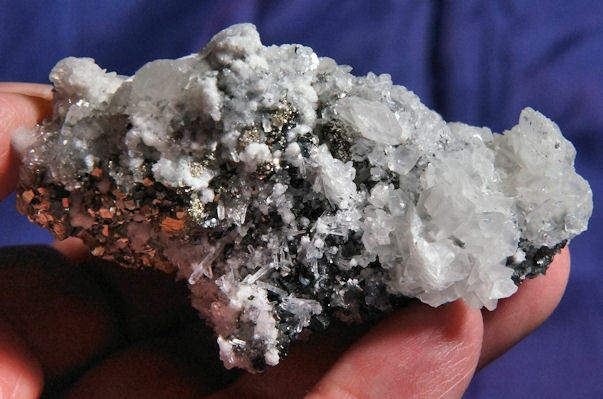 Energetically, dissolution quartz is both a healer and a kind of change master. They help you to understand how our life experiences shape our physical, emotional and Spiritual evolution as well as how every experience contributes to the growth you are meant to see in this Life's Expression. They are Spirits of transition, transmutation and evolution ... just like the process that shaped them from mother Earth's mantle. They teach us to handle change and anticipate it instead of simply reacting to it. There is a huge difference since simply reacting does not allow you to adequately assimilate the lessons from the change. Consider when you are driving and come upon a "construction ahead" sign. Some drivers steam on ahead like nothing was to happen whereas others remain aware, prepare to stop suddenly and anticipate the obstacles as well as their reactions. Once you understand the changes within your life, you also become aware of your destiny! The acorn must know what the oak tree looks like in order to grow well and so must we in knowing our own destiny. And we must welcome the helper who clears the path and makes the voyage light! The real bonus is the healer aspect , of the dissolution quartz, for many times, energies have to be realigned, Chakras balanced, blockages removed and emotional or etheric "hurts" healed. These crystals are the total package! The coming Equinox will usher in the Yin times, the times of contemplation and introspection. Fall and winter are perfect for fostering a deeper understanding of change and its effect on our destinies and Spiritual evolution ... dissolution quartz couldn't be better utilized than now!